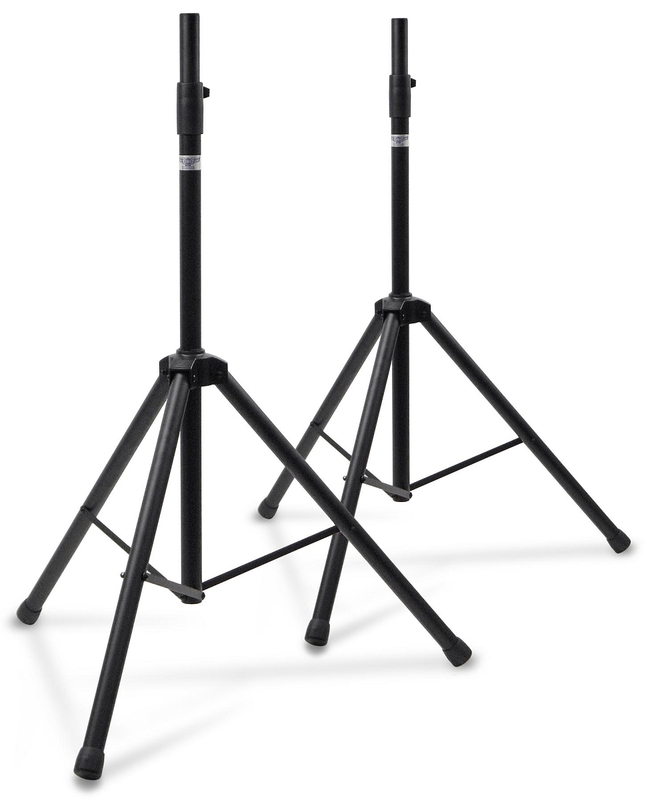 This is the EWI Tourcase AMS-001A-NB Medium Duty Speaker Stand Pair. 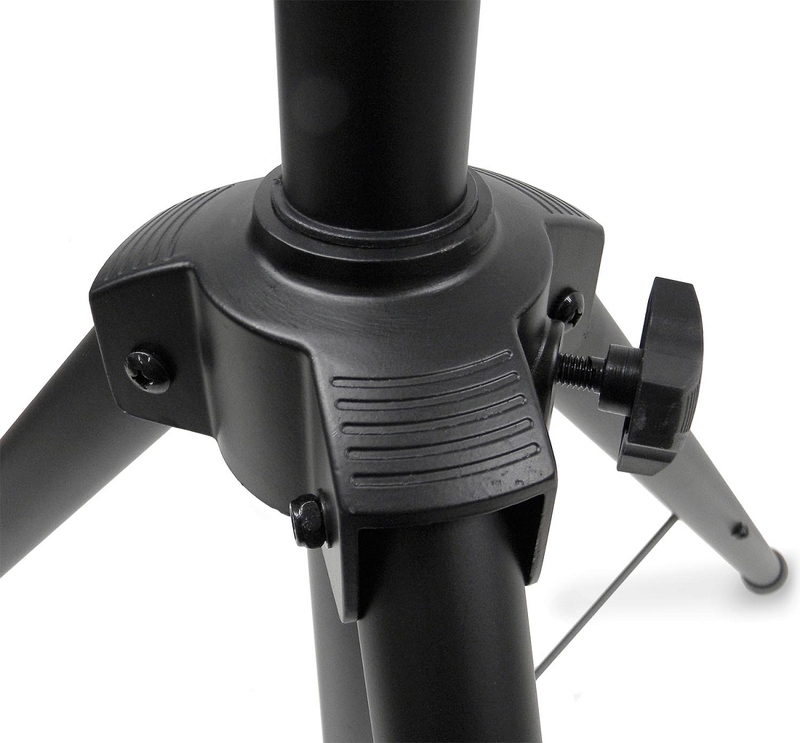 The stands are constructed with steel tubing throughout and an aluminum leg plate tying the tripod legs together. 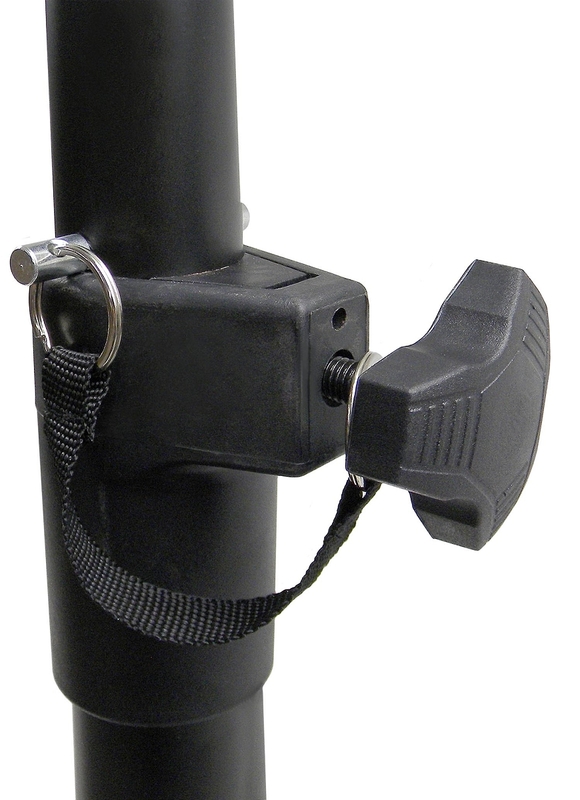 A nylon height clutch is used to keep the speaker tube from spinning and a height pin is included and attached at the clutch knob to lock the speaker height in position. 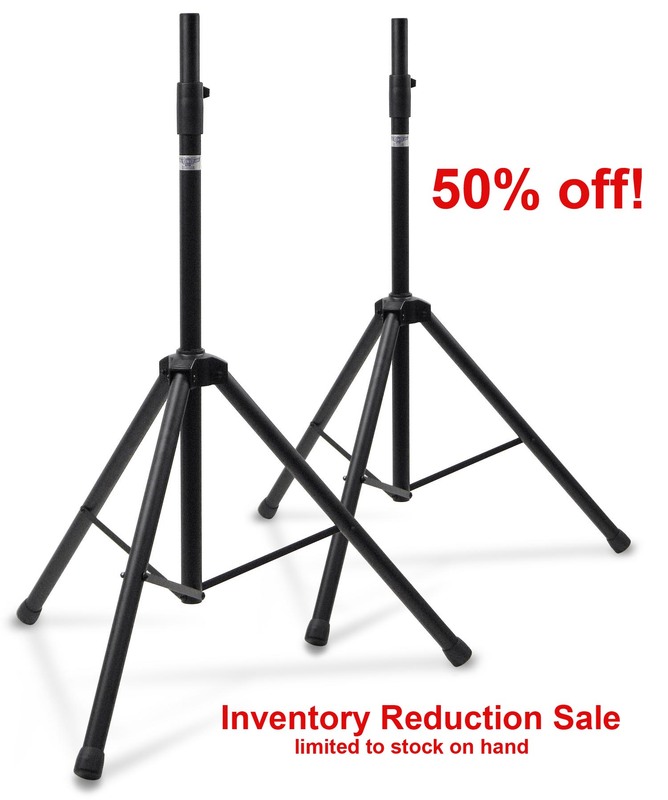 The height of the stand reaches approximately from 55 3/4" at the lowest pin hole to 75 1/2" fully extended to the last pin hole and the weight handling capacity is approximately 60 pounds. 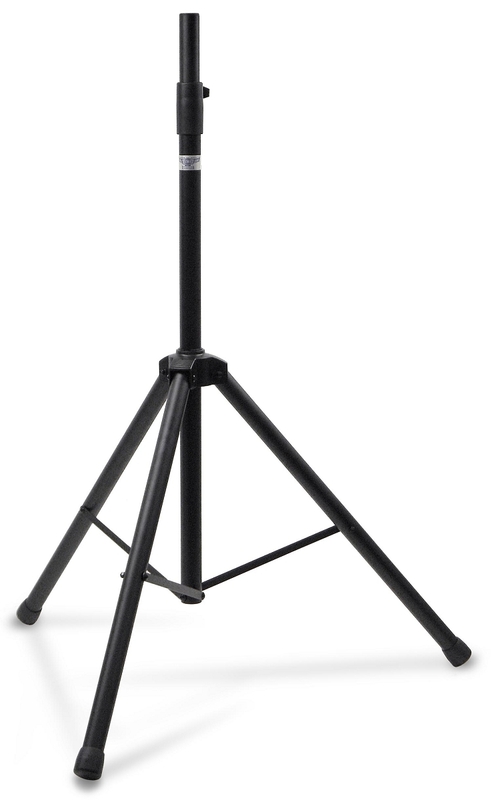 The diameter of the mounting tube is designed to fit a standard 1 3/8" speaker top hat. The leg tubes have nice rubber feet attached making this all in all a nice medium duty stand for "speakers on sticks" applications. A carrying bag is available separately for the pair. Click Here for Bag. Compact Stand for Raising Speakers. Height: 55 3/4" to 75 1/2"